Double faced sledge hammer head is 8 pounds. The double face allows for use on either side. Great for demolition for refurbishments. 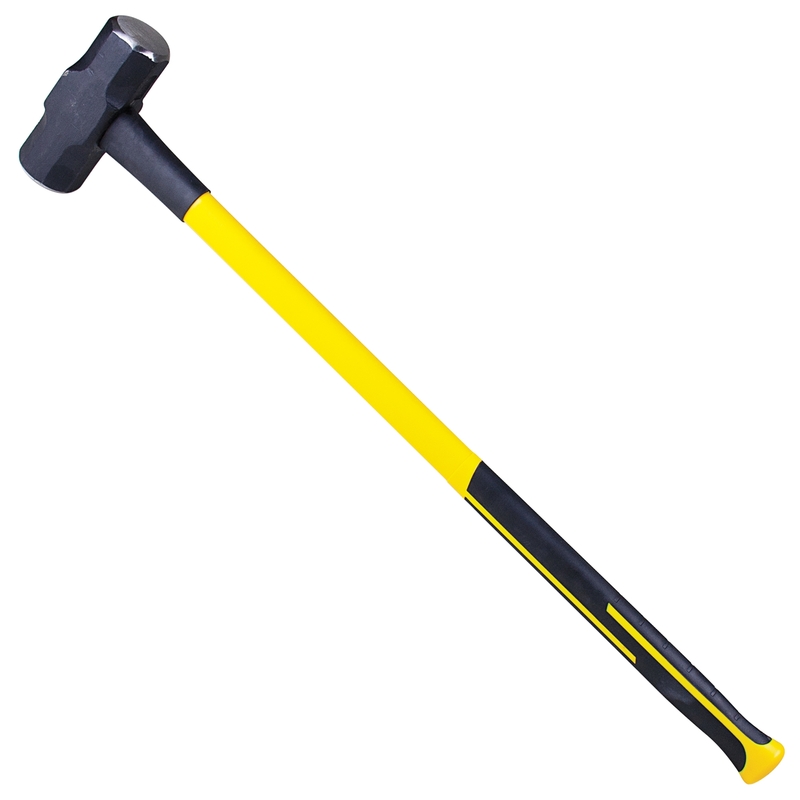 Fiberglass handle has rubber overlay for a firm grip when swinging.